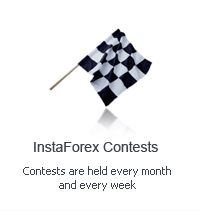 The ForexCopy system by InstaForex is designed to copy deals of successful Forex traders in real time. You can choose the copying scale, the currency pair, and set the daily limit for copying. The major advantage of this system is the function to adjust a trade´s parameters in case you think it is unprofitable, for example. Thanks to ForexCopy, everyone can learn the basics of a trading process and start trading on their own. You can register in the system as a ForexCopy trader or a ForexCopy follower. ForexCopy traders provide their trading history for copying and if they have followers, they can count on reward. Meanwhile, traders registered in the system are displayed in the monitoring list, a ranking of ForexCopy traders. ForexCopy monitoring allows users to keep track of traders´ efficiency over a given period of time and provides access to statistics of ForexCopy accounts. Monitoring also has the filter option applied to accounts´ rating as well as to traders´ balances and a time frame. You can add traders to favorites so that you can always have quick access to their accounts. ForexCopy followers are the clients who copy deals of ForexCopy traders. Followers choose the most successful traders in their view from the monitoring list based on their trading history. A follower can see a trader´s profits for a certain period of time, the number of current and closed trades, the number of followers and investors as well daily trading results. Having analyzed the history and trading efficiency of every account, followers can opt for the most suitable copying strategy. To start using ForexCopy, you need to register in the project, choose the traders from the monitoring list and become their follower. If a copied trade is in-the-money, a follower pays commission that is determined by every trader. Start to copy trades and learn how to make money from professionals!